Recently conducted studies reveal that insider purchases can be frequently seen as signals of bullish sentiment among insiders (read more about this). The main reason to believe this is that insiders face a strong incentive to diversify their wealth away from the company they work in. By ignoring the benefits of diversification and buying the stock anyway, they prove to have a high level of confidence in the company. This is why, in addition to using hedge fund filings to develop investing strategies, we also maintain a database of insider purchases and take a brief look at significant insider buys to help investors decide if the company is worth further research. Therefore, in this article, I will look into three companies that have witnessed purchases from several insiders since the beginning of 2014. The first company I would like to refer to is Alcoa Inc (NYSE:AA), the aluminum giant –its market capitalization surpasses $13 billion. On Jan. 15th, two Board Directors – Ratan Tata and Martin Sorrell– purchased shares of the company. Through two separate transactions, Mr. Tata bought a total of 1,980 shares. He paid $10.535 for the first 200 shares and $ 10.5375 for each of the following 1,780. 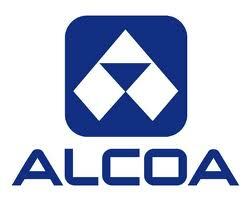 He now owns 43,359 Alcoa Inc (NYSE:AA) shares. Mr. Sorrell procured 1,925 shares for $10.5379 each and now holds 17,383 shares of the company. The stock is up more than 15% since their purchases. I should also mention that about 45 of the major hedge funds that we track hold long positions in this stock (a fact that should not pass unnoticed). Second in my list is American Realty Capital Properties Inc (NASDAQ:ARCP), a REIT with a market cap of more than $2.5 billion and more than 20 major funds holding long position in its stock. Last week, two insiders acquired stock from the company; on Jan. 14th, Brian Block, Executive Vice President, Treasurer, Secretary and Chief Financial Officer, acquired* 4,000 shares of Series F Cumulative Redeemable Preferred Stock at a price of $20.59 per share. In addition to these shares, Mr. Block directly owns 894,694 shares of Common Stock and an extra 5,159 shares of Series F Cumulative Redeemable Preferred Stock. A few days later, on Jan. 17th, Leslie Michelson, Board Director, acquired 6,900 American Realty Capital Properties Inc (NASDAQ:ARCP) shares of Common Stock in two separate transactions. On the one hand, he acquired 5,500 shares at a price of $13.5399 per share, increasing his holdings to 51,500 shares. In addition, Mr. Michelson bought 1,400 shares for $13.48 each, which are now held by an immediate family member. Another interesting case is that of MVC Capital, Inc. (NYSE:MVC), which I already mentioned in a previous article (but the issue needs an update, as a new purchase was declared at the SEC on Jan. 22nd). Over the week of Jan. 13th, two insiders, Robert Knapp (Board Director) and Bruce Shewmaker (Managing Director), upped their stakes in the company. On Thursday Jan. 16th, Mr. Shewmaker added 500 shares** to his holdings for an approximate price of $13.83 per share. He now owns 22,865.72 shares of common stock. Mr. Knapp was even more active. Over the past week, he completed three transactions. On Wednesday, Jan. 15th MVC Capital, Inc. (NYSE:MVC)’s Board Director bought 31,006 shares of the company for $13.77 per share. On Thursday, Jan. 16th, he –once again- purchased the company’s stock. In this occasion he acquired 4,876 shares at a price of $13.87 per share. Finally, on Jan. 17th, he procured another 2,512 shares for $13.89 each. After the reported transactions, he owns 38,394 shares, indirectly, through a separately managed account and a private fund in which Mr. Knapp is a Principal. In addition, he holds 300,765 shares through Ironsides Holdings LLC, which is fully-owned by him. His total holdings are worth more than $4.8 million at current stock prices, and carry a 3.8% dividend yield. Trading at only 9 times its earnings, compared to an industry average of 23 x P/E, this stock certainly looks like a bargain. ** Mr. Shewmaker reported several transactions, both purchases and sales, on this date, but the final balance was an increase in his position by 500 shares. He paid about $13.83 per share.